The most limiting factor in development today is software validation, which typically requires very costly and complex testing processes. It will develop a novel test orchestration theory and toolbox enabling the creation of complex test suites as the composition of simple testing units. 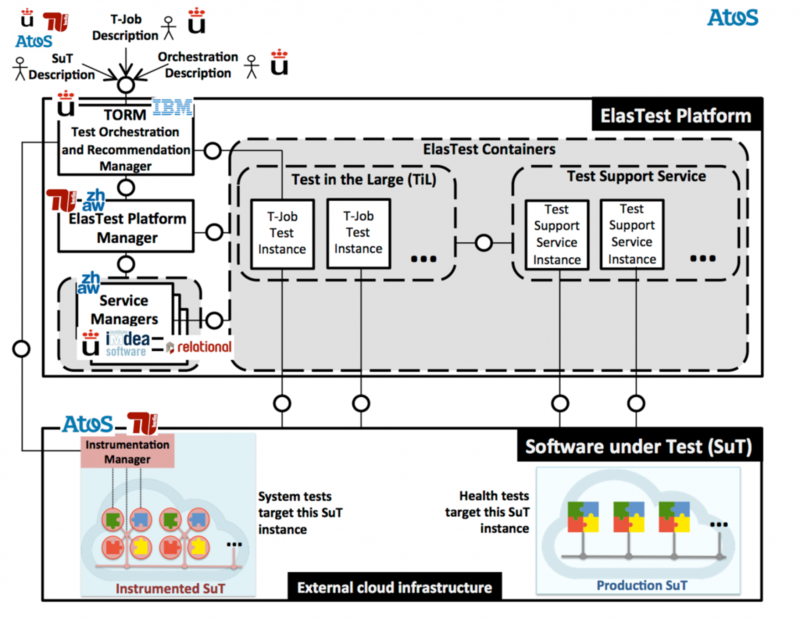 The ElasTest project wants to develop an elastic platform for testing complex distributed large software systems. The ElasTest kickoff meeting took place during January in Madrid. ElasTest’s consortium comprises of 10 partners including IBM, ATOS, Technical University of Berlin and is coordinated by the University of Rey Juan Carlos. For more information on the ElasTest project visit our ElasTest section!